No mowing, fertilizers, or water required, which means that onelawn® landscapes are practically maintenance-free. 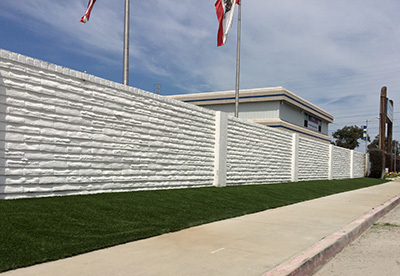 Commercial facilities can save time and money with onelawn® synthetic turf landscapes, without sacrificing the look of healthy, natural green grass. They’ll make a great first impression on everyone who visits your facility. We’ll make a great impression, too: our team will handle everything you need for a beautiful, long-lasting landscape. XGrass synthetic turf always looks bright, green and fresh-cut, even in harsh weather conditions. onelawn® employs an experienced staff that will help guide you through the planning and installation process and help you choose the best options for your facility. To discuss your upcoming commercial surfacing project, please give us a call at 877-611-LAWN, or fill out our contact form. One of our surfacing experts will gladly answer your questions and/or provide additional information about our services.